Event Description : MUSIC : Parvaaz - Thursday Live! Parvaaz is a contemporary Indian music band whose four members have assimilated several international progressive/psychedelic rock influences but their own expression has a rootedness that makes their sound unique. They sing mostly in Kashmiri and Urdu and their own line-up reflects the diversity they come from. 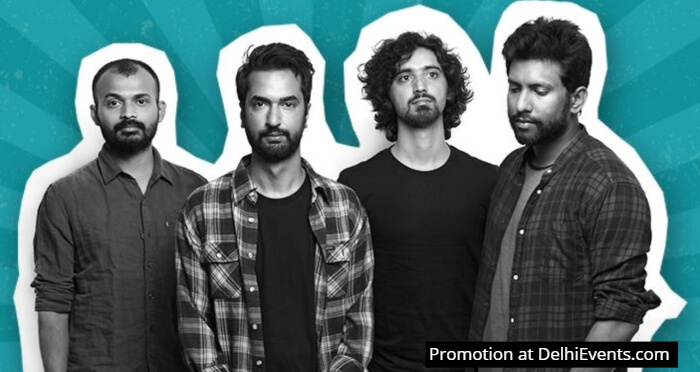 Khalid Ahamed (vocals), Mir Kashif Iqbal (guitars), Sachin Banandur (drums) and Fidel Dsouza (bass) constitute the Bangalore- based rock group. The band has so far released an EP titled “Behosh” in 2012 and the full length critically acclaimed album titled “Baran” in 2014. The band also released a live DVD titled “Transitions” in 2016 and are currently working on their second LP.